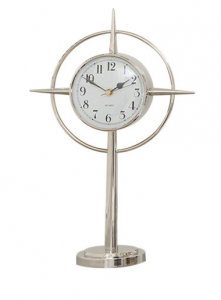 Originally designed in 1938, this timepiece’s clean design was ahead of its time. 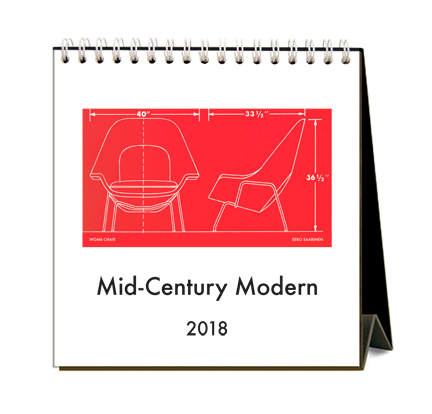 Refreshed in a new hue, it is an ideal companion to your retro-style workspace. 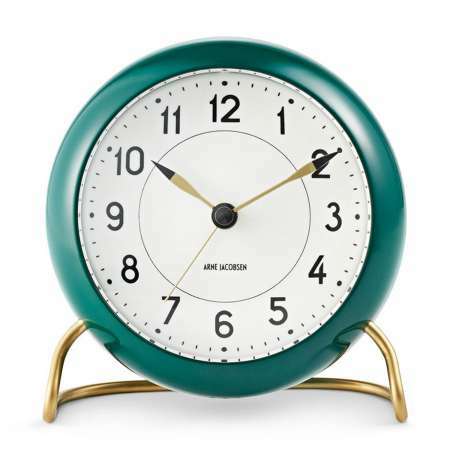 Also available in red or green, this retro-inspired cutie is perfect for cheering up your workday. 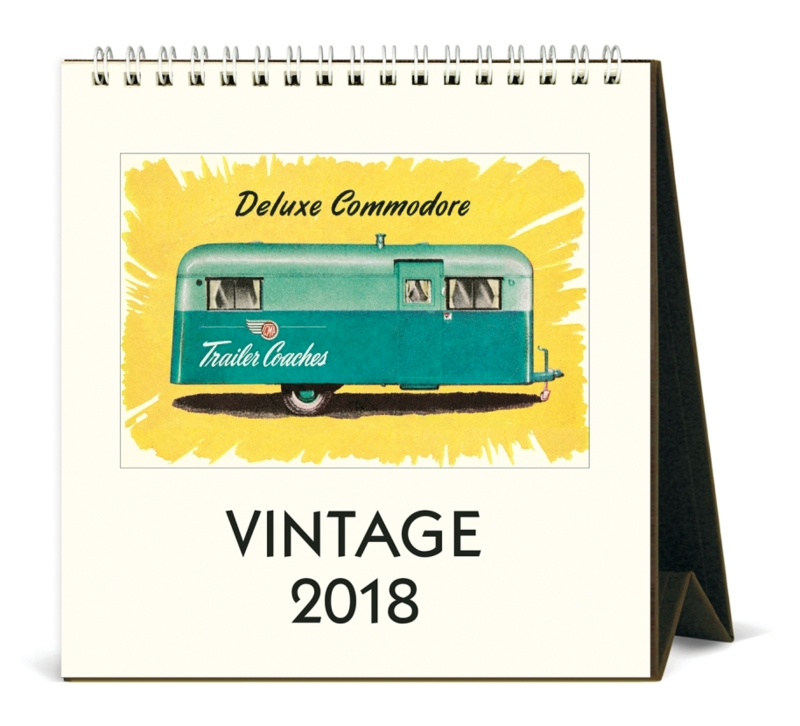 If retro advertisements are your thing, this is the calendar for you. From trailers and cameras to lightbulbs and bikes, this colorful calendar cheerfully depicts nostalgia at its finest. 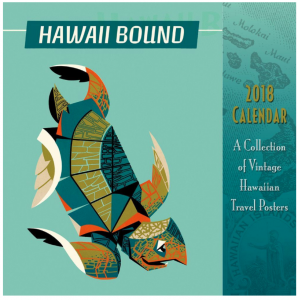 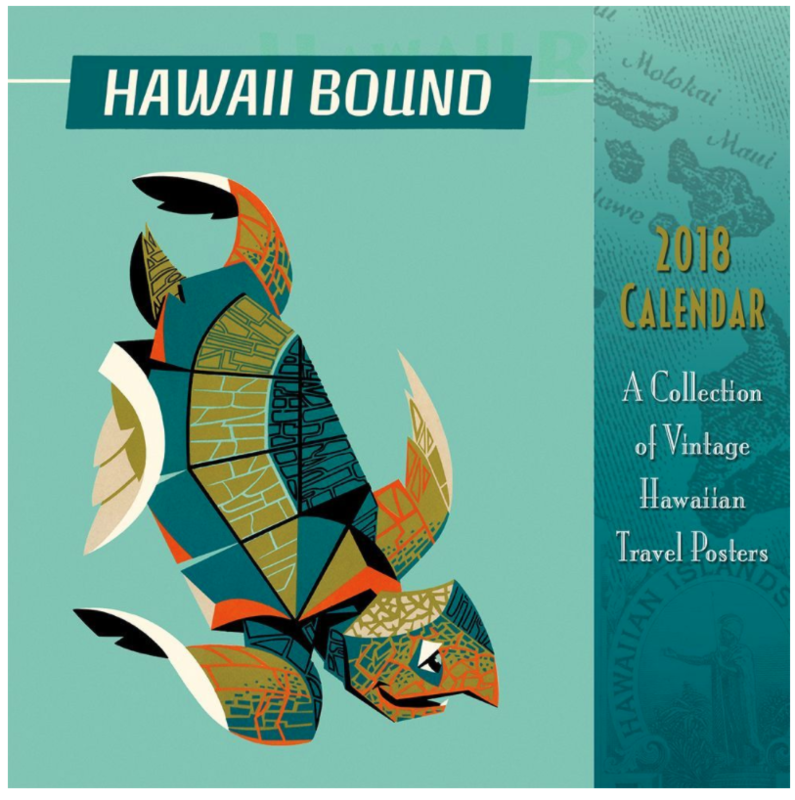 No matter if you’re heading to the islands this summer or simply a fan of Hawiiana, this collection of retro Hawaii travel posters will have you saying “aloha” to tropical daydreams. 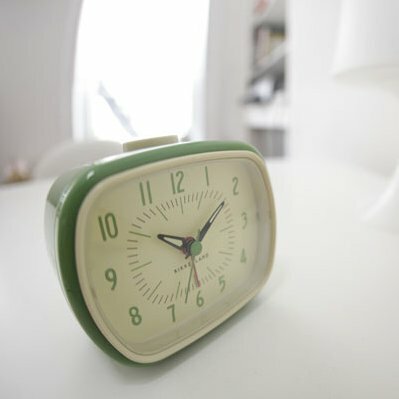 What’s not to love about this stunning 1950s clock? 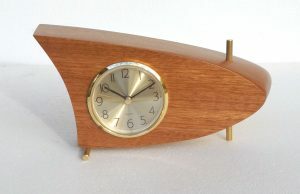 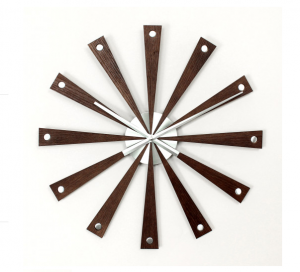 Its boomerang design is eye-catching, the mahogany is in great shape, and it still keeps time. 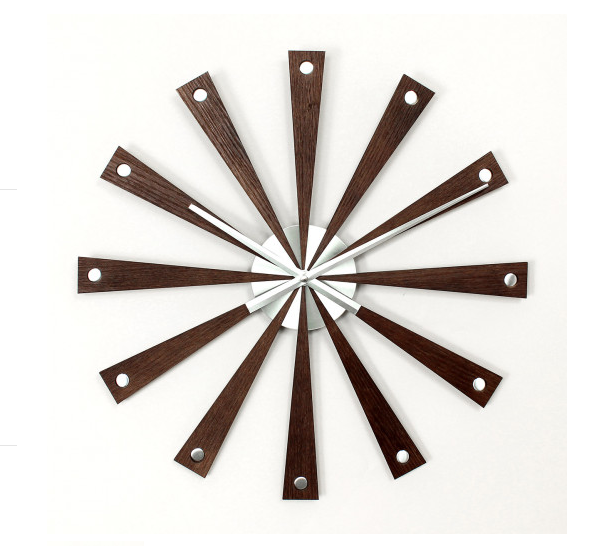 Inspired by the famous George Nelson designs, this beautiful timepiece is ideal for keeping you on schedule. 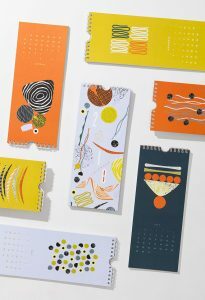 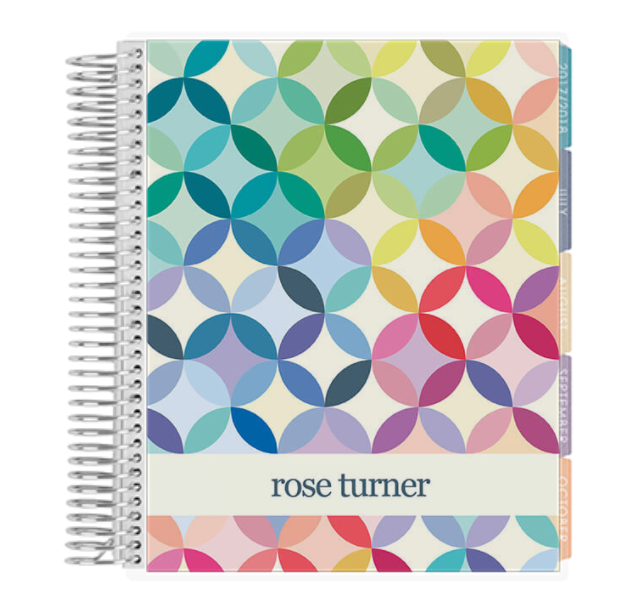 Bright, bold and abstract, this slim calendar is sure to jazz up any workspace. 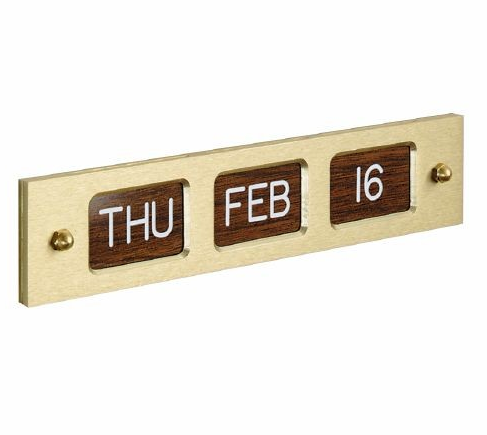 In fact, I may need to order one myself! 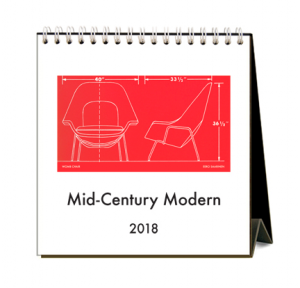 Each month a different icon of midcentury design is featured—but this popular calendar is difficult to track down, so you may have to contact the designer for a local retailer. 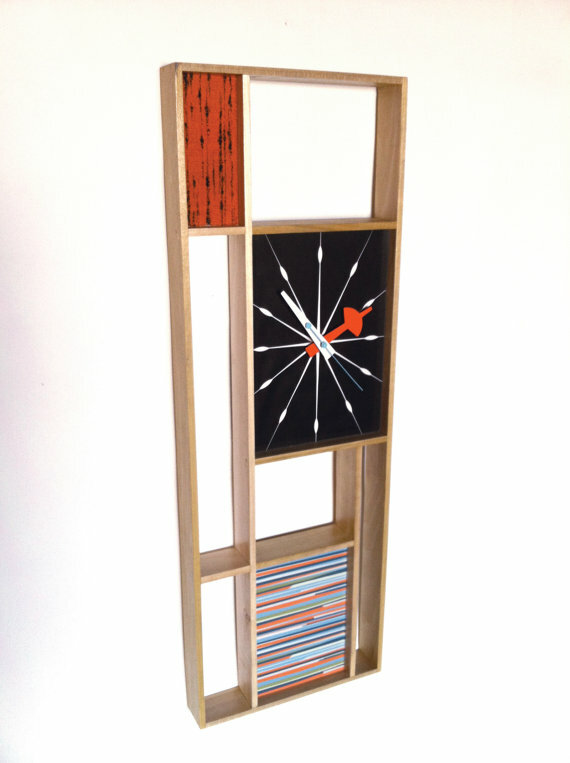 Part art, part clock; this stunning piece from our friend, artist Bruce Yager, is a reproduction of the “Sunbeam” Mondrian clock. 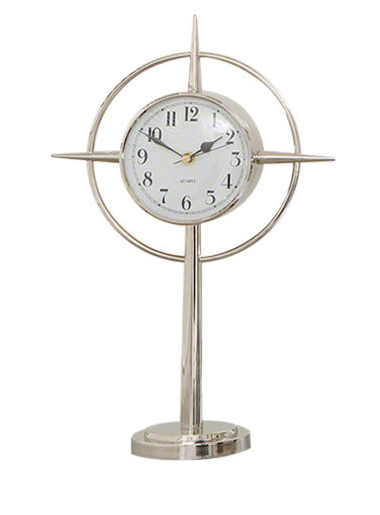 If a starburst and a retro microphone combined to become a clock, this would be it. 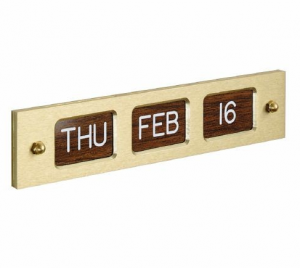 Make 2018 feel a little more like 1958 with this brass and faux walnut perpetual calendar. 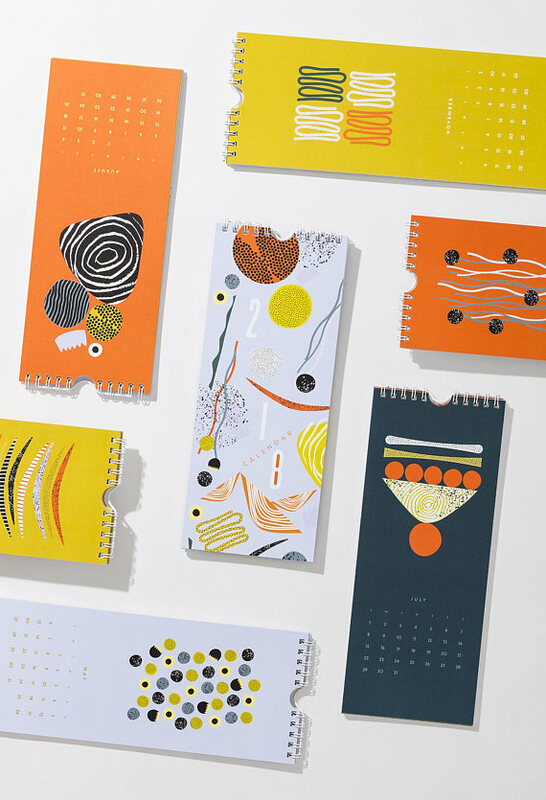 If you want to go all out, they also have a version that comes with two pens.